As you all know, Rune has only played a few shows with Tristania during the last years. Due to him not being able or motivated to tour we’ve been using a session musician on bass for our tours in the last couple of years (Kjell Hagen, ex-Trail of Tears). In addition, Rune became a father last year. As a result of this, both Rune and the rest of the band agreed that it was time to find a new bass player. Tristania would like to thank Rune for the great years we had in Tristania together and we wish him all the best for the future. At the same time, we are delighted to announce the new bass player in Tristania; Ole Vistnes. We first started to work with Ole about a year ago, and it worked out great in every way. Some of you have already seen Ole on stage with us last year. The rest of you will surely get the opportunity to do so during the upcoming tours in 2009. Ole is an amazing bassist, who has a degree in his instrument from the University in Kristiansand. He is a great guy that fits perfectly into the Tristania family. In addition, he is a skilled composer and has been heavily involved in the songwriting for the upcoming album. Please give Ole a warm welcome! Hello everyone. This is Ole, the new bassplayer in Tristania. As some of you may already know, I have been touring with Tristania for one year now. Permanent member from end of the last tour in South America, and involved in composing this fall. Let me express my gratitude towards first and foremost the guys in the band, for giving me such a warm welcome in the band. Never a single day did I feel like “the new guy”. 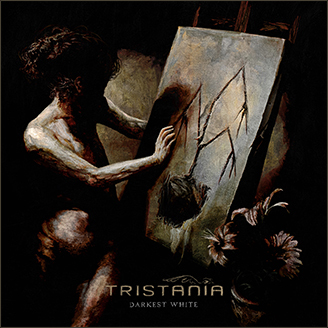 I approach the challenge of playing bass in Tristania with humility and respect for the work of Rune, but I am also given the freedom to be Ole, and not having to be a constant copy. This combination of true respect for previous deeds and eagerness to move on, is the balance that keeps the classic work alive, but also empowers growth and evolvement. I will also use this opportunity to thank Anders and Einar for involving me heavily in the composing. They have truly boosted my self confidence and creative muscles with their great support and encouragement. And I would like to thank our fans. I have already met quite a few of you, and your enthusiasm and love for Tristania´s music is overwhelming. This entry was posted in News and tagged bass player, ole, tristania. Bookmark the permalink.